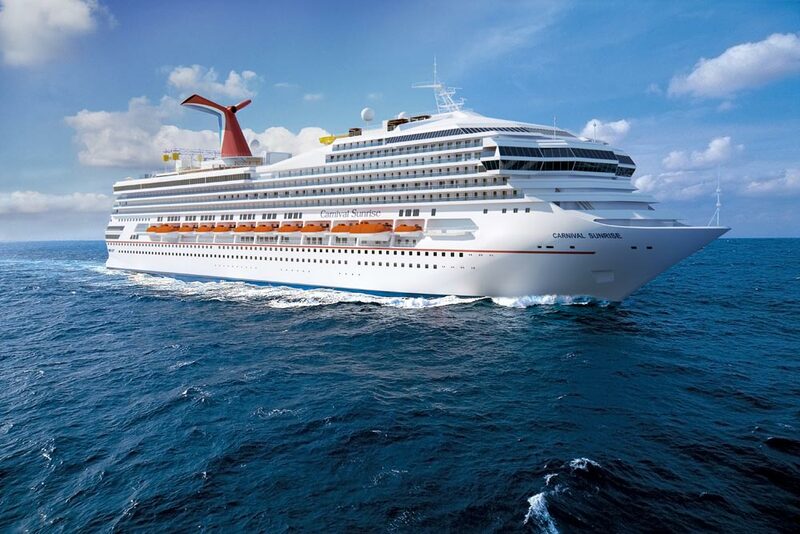 Carnival Cruise Line has announced that Carnival Triumph will be renamed Carnival Sunrise after a huge multi-million dollar dry dock in Spring 2019. The ship will be transformed and upgraded. The Carnival cruise ship will be transformed into Carnival Sunrise just like what the cruise line did with Carnival Destiny into Carnival Sunshine in 2013. The ship will undergo a 200 Million bow to stern transformation in Spring 2019 and it will last for an entire 2 months! The dry dock will take place in Cadiz, Spain starting on March 1, 2019. The vessel will become part of the Sunshine class. 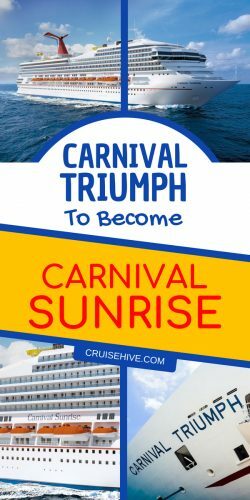 What Will Be Added to Carnival Sunrise? Carnival has released all the details of what will be added during the transformation, take a look below which includes all the latest FUN 2.0 upgrades already found on other ships in the fleet. There will also be some new additions for guests to enjoy. Serenity Adult-Only Retreat: An adult only oasis offering plush chaise lounges, whirlpools and oversized umbrellas, enhanced by dramatic sea views. 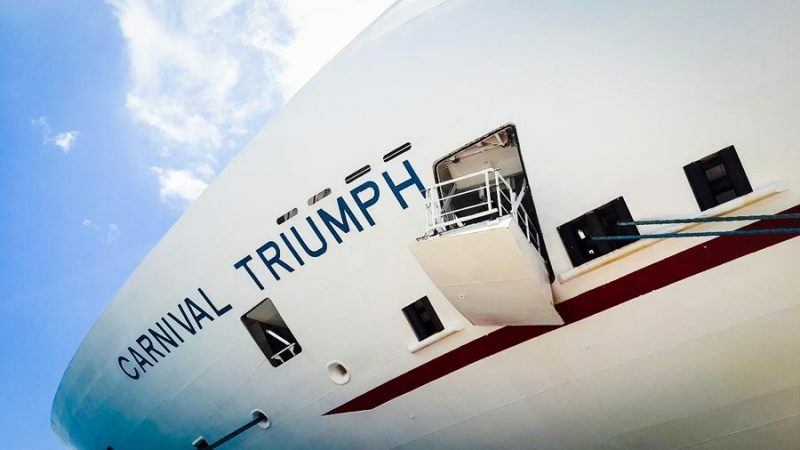 The newly transformed ship will re-enter service with a series of 5-day to 7-day cruises out of Norfolk, Virginia starting on April 29, 2019. The 7-day voyage will include calls in Half Moon Cay and Freeport, both in the Bahamas. There will be two 5-day cruises departing on May 12 and 17, 2019. these cruises will include calls in Nassau and Freeport, Bahamas. 6-day cruises will depart the homeport on May 6, October 14 and then finally on the 20, 2019. The voyages will call in Half Moon Cay, Nassau, and Freeport. After these sailings out of Norfolk, the Carnival Sunrise will be based out New York offering a series of 4-day to 14-day itineraries. The cruises will start on May 23, 2019. The ship will also sail longer Carnival Journey sailings with a 10-day eastern Caribbean cruise and a 14-day cruise which includes the Panama Canal. Carnival Cruise Line has already opened up bookings for all the itineraries we mentioned above so do check their site to know more.